Cases that cannot be resolved through a plea agreement are set for trial. Trials will be decided either by a judge in a bench trial, or by a jury. 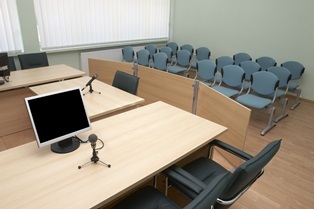 If your criminal case will be decided at a jury trial, it is important to understand how a criminal jury trial works so you know what to expect. Here, we discuss how jury selection works in Virginia. Who Can Be on the Jury? In order for a person to be eligible to be a juror in Virginia, he or she must meet certain requirements. Jurors must be at least 18 years old. In addition, a juror cannot be a convicted felon; however, if the juror was convicted of a felony, he must have had his voting rights restored and lived in the jurisdiction for at least two years in order to be eligible to serve as a juror. The jury commissioner for each jurisdiction will create a master jury list of eligible residents who reside in the jurisdiction of the court. This list, often generated from voter registration lists, is sent to the court clerk. Potential jurors are randomly selected from this list. How Many Jurors Are Selected? In a felony case, 20 prospective jurors are called from those in the courtroom, and 12 members will be selected. In a misdemeanor case, 13 prospective jurors are called, and the final jury will include 7 jurors. One or more alternate jurors may be selected to be on the jury in case a juror becomes too ill to serve or is removed from the jury during the trial for other reasons. The prosecuting attorney and criminal defense attorney will then have an opportunity to question potential jurors. Often the court will send a questionnaire to the jury pool to complete before the trial date in order to obtain basic information about the jury pool. The attorneys may have reviewed these questionnaires before the trial date. In some cases, attorneys will hire experts to review these questionnaires and assist in jury selection. The attorneys will question potential jurors more thoroughly than the judge. The prosecutor and the criminal defense attorney will ask questions to determine biases, backgrounds, and pre-existing knowledge of the case. They are looking for characteristics and experiences that could cause a prospective juror to side more favorably with either side. Challenges for cause. An attorney can challenge a person’s right to sit on a jury for cause if he or she is not qualified to sit on a jury either because that person does not meet the basic qualifications, is not competent, or is biased and cannot be impartial. Bias can be actual bias if the juror admits in some way that he or she cannot be fair. Implied bias is where the juror has characteristics or prior experiences that make it unlikely that he or she can render an impartial decision. Generally, there is not a limit on for cause challenges. Peremptory challenges. A peremptory challenge is used when there is no reason for cause to exclude a juror, but an attorney does not want the person to be seated as a juror. The attorney does not have to give any reason to excuse the juror when using this type of challenge. However, there is a limit to the number of peremptory challenges an attorney can make. Generally, an attorney is only allowed three peremptory challenges, but the precise number could vary depending on whether the case is a misdemeanor, felony, or death penalty case. When retaining an attorney to represent you in your criminal case, it is critical that you hire an experienced criminal defense attorney who has conducted criminal trials and has a track record of success. If you are facing criminal charges, review our case results to see how we have helped other clients and then call our office to schedule your free consultation. What Are My Rights to Discovery in a Criminal Case? What Can I Do to Help My Criminal Defense Attorney With My Criminal Case? What Factors Could Influence the Outcome of My Criminal Case?